Philipp Blom takes on historical revisionism, Rousseau, and the splendor of 18th century Paris. 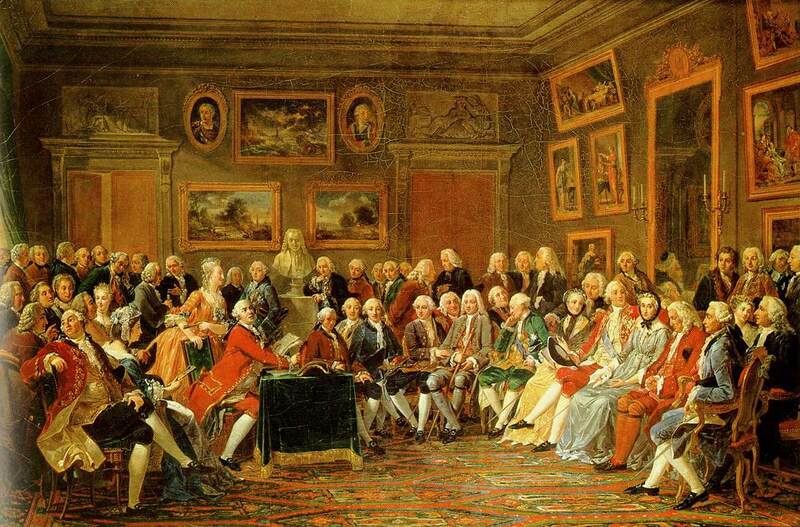 “A Wicked Company: The Forgotten Radicalism of the European Enlightenment”. At the fashionable salon of Madame Geoffrin, God's existence was definitely not a topic of debate. Skeptics instead skipped over to Holbach's house. Monotheism, the trifold belief that a supernatural world exists and that it is governed exclusively by one all-powerful being and that one can have an intense personal relationship with said being, is perhaps the most consequential development of Western philosophy. Borrowing mightily from Judaism, Christianity had, by the 18th century, become the official religion of virtually all of Europe and Byzantium, while Islam dominated Arabia, Persia, and North Africa. But while Christianity was beginning to assert itself abroad, it had begun to come under attack at home. Capitalism, industrialism, and scientific progress had so radically transformed Europe, and had done so with such breathtaking speed, that many European thinkers began to consider human progress capable of reaching perfection. To these thinkers, man was being tyrannized– his true potential blocked–by two ancient institutions: hereditary monarchy and Christianity. European monarchs, yoked to a broad and expensive aristocracy, were increasingly seen as a social cancer; unnatural and unproductive, the ruling class consumed wealth created by others. Christianity proclaimed this order to be God’s will, damning those who challenged authority to eternal fire in the afterlife, and actual fire hear-and-now. This intolerably corrupted theocratic arrangement made increasingly little sense in the exciting new world of scientific and economic progress. Europe’s great thinkers set about crafting a path towards mankind’s ultimate political progress. It is here where we come across a monumental division in Enlightenment thought regarding man and God. One camp, led by the deists Rousseau and Voltaire, argued that man cannot live without belief in absolute truth, even if that belief is actually false. Since Christianity was false, they believed, it was not to be simply destroyed, but actively replaced by a more perfect virtue, a perfect religion designed to worship a perfect being as deduced by human reason. 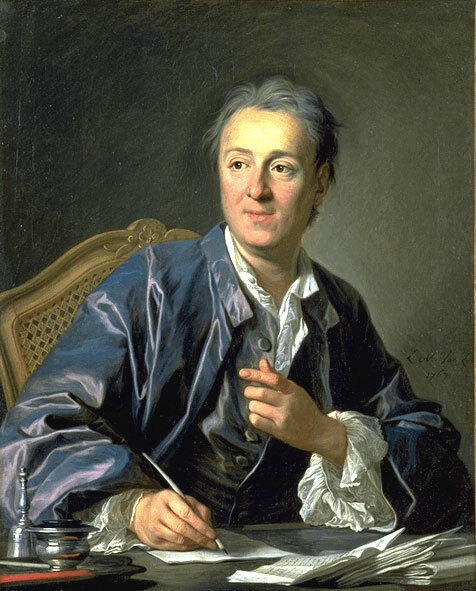 Another camp, led by atheists Denis Diderot, Baron d’Holbach, and the atheistic David Hume, argued that Christianity was certainly false, but that it’s most consequential evils came not from the teachings of Jesus of Nazareth, but from Christianity’s unique standing in Europe as a law-religion, wedded to the state. Human progress was subject to acute limits, they reasoned, and thus they were skeptical of utopia, Christian or otherwise. The Age of Revolution was a volatile epoch, and many Enlightenment ideas were tested by the period’s political actors (Holbach’s essay Christianity Unveiled, and his suspiciously familiar-sounding Good Sense were published in 1761 and 1772 respectively). The atheist philosophies which argued for a state disinterested in the religious lives of it’s citizens was seized by the American Revolutionaries, especially Ben Franklin, Thomas Paine, and Thomas Jefferson, the latter of whom would first codify this stance in Virginia’s Statute for Religious Freedom, then finally the First Amendment to the United States Constitution. (Jefferson’s library contained copies of both Sense and Unveiled). Meanwhile, the radical deist philosophies of Rousseau and Voltaire, which believed that the state can and should dismantle and replace Christianity along more virtuous guidelines, were seized by the French Revolutionaries. Robespierre in particular was steeped in Voltaire and Rousseau, and his Jacobins aggressively “de-Christianized” France: First by replacing the christian calendar (with the year of the Revolution as year “0”), then by putting much of the clergy to the guillotine, and then finally by unveiling a new deity, the Goddess of Reason, who was “played” by the wife of the printer Antoine-François Momoro and for whom an absurd ceremony was held in Notre Dame. The rest is history: The United States would follow the Diderot/Holbach/Hume model and develop into a wealthy and industrialized state characterized by pluralistic religious liberty under what is perhaps the most durable Western political regime ever, while France, and later Russia and Cambodia (Lenin and Pol-Pot were steeped in Voltaire), labored terror and barbarism in the fruitless pursuit of the utopia vaingloriously promised by deist philosophers infatuated with the notion of a perfect being. This interpretation of events is not new. It is, in fact, at least as old as Isaiah Berlin’s 1958 essay “Two Concepts of Liberty”. But it has been refreshingly revived by historian Philipp Blom in his examination of the “Forgotten Radicalism of the Enlightenment” in A Wicked Company (Basic Books). 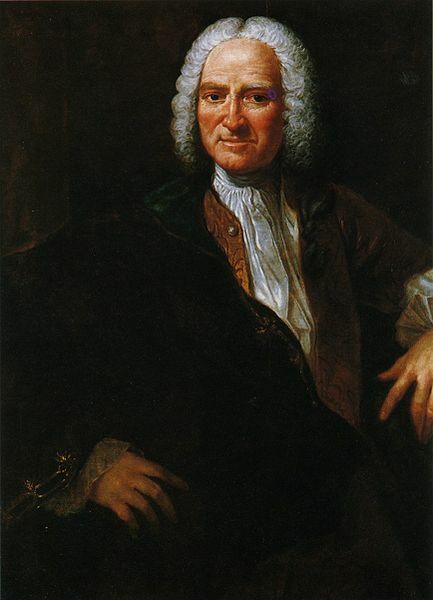 Company focuses almost exclusively on the salon of Paul-Henri Thiry Baron d’Holbach, a wealthy, German-born scientist who establishes a regular salon in his adopted Paris. Holbach’s coterie includes a who’s-who of Enlightenment thinkers, including Denis Diderot, David Hume, and Jean-Jaques Rousseau (whose paranoia and late-life turn to radical deism would isolate him from the salon). Blom uses the verve and color of 18th century Paris as a clever delivery system for impressively terse explanations of his subjects’ materialist philosophies. (A sample menu from a typical Holbach gathering lists 26 dishes, including Ox palates and grilled veal, served over 5 courses). 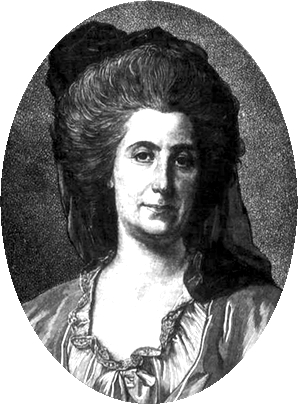 Madame Helvetius. The widow Helvetius was a charismatic, well-educated woman of means. She worked with Diderot on several of his writings, and American diplomat Ben Franklin even asked her hand in Marriage. She declined. The book strides with subversive energy: these thinkers were publishing the first fully atheist philosophical works since ancient Rome, and were doing so under strict secrecy as heresy was punishable by death. Company also endows the reader with an appreciation for the philosophical origins of broad-based contemporary values we now take for granted (including freedom of religion, sexual liberation, secular government, and women’s equality) and on whose behalf Holbach’s salon defiantly advocated. Blom’s revisiting of the Enlightenment comes at an important time for the atheism with which he obviously identifies. After three best-selling books, one feature length film, and numerous viral internet campaigns, “New Atheism” is about to enter it’s 7th year as an American cultural phenomenon (that is, if one marks the movements’ beginnings with Sam Harris’ 2004 The End of Faith). New Atheists have all but made their case, and with the coming eclipse of Christopher Hitchens, the movement’s most powerful voice, New Atheism risks fading into memory, an interesting blip in the history of American skepticism. Company keeps the movement interesting by crafting a narrative which connects the non-religious to their risk-taking philosophical forbears and, not unimportantly, by making what is, to-date, the most powerful refutation of the popular idea that the cruelest despots of the 20th century were somehow inspired by atheist ideologies. This is where Blom’s account of history soars. He demonstrates once-and-for-all that the most murderous regimes of the 20th century were rooted, not in atheism, but in the 18th century European obsession with a “supreme being”. What Hitler, Pol-Pot, Stalin, Mao, and the Kim regime have in common is the “belief-in-belief”: a philosophical invention of the deists Rousseau and Voltaire that rejected Christianity as obviously contrived and morally dangerous, yet also rejected atheism on the grounds that people need to believe in absolute truth, even if one must invent it. The last part of that sentence is deeply troubling, as it contains something for nearly everyone to hate. First, it implies that religion is created based on a babyish need for consolation; Second, it asserts that this need has only ever been met with man-made fictions; Third, it logically follows that there’s no harm, and certainly no reason, man shouldn’t replace one fiction with another if he feels it to be superior to the old. This logic was followed to brutal effect during the French Revolution’s Cult of Reason, and later in the Nazi, Stalinist, Maoist, Cambodian, and North Korean state-cults. Founded on deist philosophy and bearing the uniting feature of compulsory state-worship, how is it that these nightmare regimes are so often mistaken for being atheistic? Does Christianity feature a philosophical necessity to categorize all non-Christian religions “atheist”? As much as it is a history of ideas, A Wicked Company makes a powerful distinction between the deism and atheism which sharply divided Enlightenment thinkers, and demonstrates how mankind’s greatest atrocities would be caused by the former, and blamed on the latter.